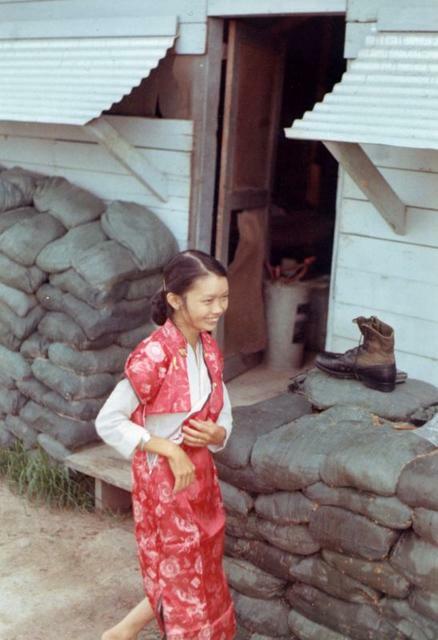 I purchased this Vietnamese outfit for my then wife that I was soon to meet on R&R (a 5 day vacation) in Hawaii. Mimi had a good slender body but it was comical when she tried to wear this. She was larger than any Vietnamese woman I ever saw and in no way did this fit her. A very bad choice on my part. Physical size was another of many points where our cultures were mismatched.